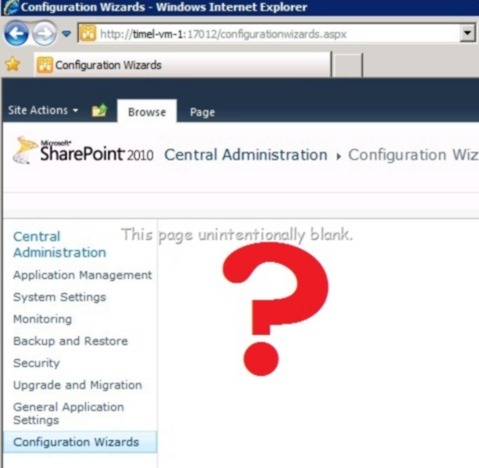 Ever feel like something is missing from the SharePoint Central Administration site? You go to the admin page of your SharePoint site to do something you’ve read about on MSDN or TechNet, only when you open the page, the control or widget you’re looking for isn’t available. In fact, the page is oddly blank. (Remember when technical documentation would occasionally feature a page with a single line of text that said, “This page intentionally blank.” SharePoint looks like that, but without the silly reminder that page was supposed to be devoid of meaningful text). I’ve had this happen when I install SharePoint for TFS. I think it may happen because during SharePoint installation, I provide a user account different from the user account I’m using to run the installer. For example, if I log onto the computer with my corporate domain account, Tim Elhajj, but then I enter a different account when the SharePoint installer prompts me for a user account it can use for database access. Regardless of how and why, here is what I have done to get SharePoint to show me all its controls. 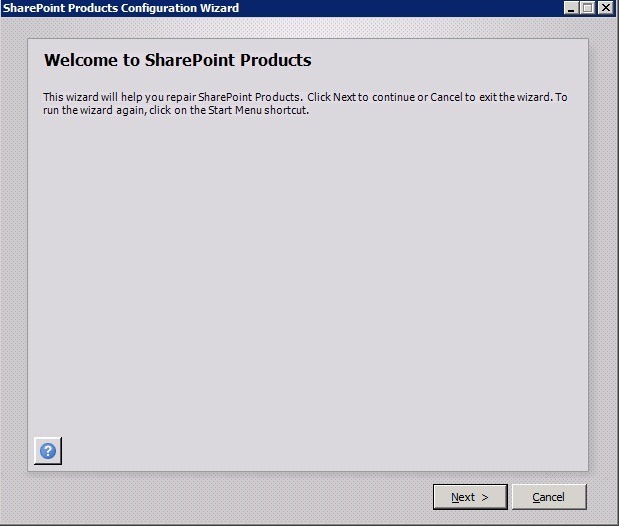 Run the SharePoint Configuration Wizard again. 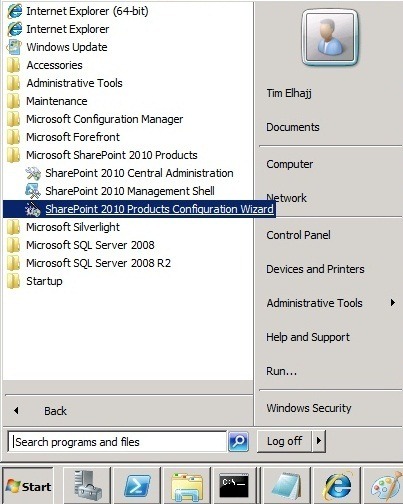 Click Start, click All Programs, find the Microsoft SharePoint 2010 Products folder and expand it, and then click SharePoint 2010 Products Configuration Wizard. When the Wizard launches, just click Next. The tool will run for a bit and hopefully give you all the permissions you need. 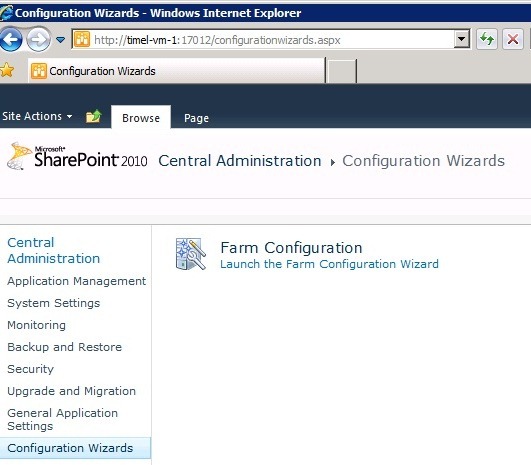 Once it runs, close the wizard and go back to the SharePoint administration site. You should see the controls you’re looking for. I used this method to gain access to the Configuration Wizards in MOSS 2010. I tried using the SharePoint controls to log onto the page as the identity that I used during SharePoint installation, but that didn’t seem to help. The only way I could get it to work was by (re-)running the configuration wizard. Categories: Tips | Tags: install moss 2010 for tfs, install sharepoint for tfs, MOSS 2010, SharePoint, sharepoint troubleshooting, tips, WSSERVICE | Permalink.